Learn to build modern modern Web sites with HTML and CSS. Tutorials, video courses, articles, and much more! What makes my video courses and tutorials stand out? Simple: I use easy to understand English, instead of the nerd-jargon that you typically see in books and videos. Kids as young as 10 and retired persons in their 80s are now building web sites because of my web design tutorials. I'm sure you can too! I leverage my 20 yrs experience as a web designer to help me filter out all the rarely used things found in web design. I teach only practical web design skills and techniques and leave the academic blather to others. ... You see, the languages of web design (HTML and CSS) are like any other written language, where in everyday life, we only use a very small fraction of the words available. The shortest distance between two points is a straight line - I draw that straight line for you in web design! By steering clear of long-winded discussions and useless nerd-theory and yammering ... you will be amazed at how fast you will progress. These tutorials and video courses will teach you cutting edge web design. No fluff, to the point practical training, designed to make a web designer out of you as quickly as possible! Great for total beginners who don't understand anything about HTML, CSS and web design. Also great for users who want to learn what's going on behind the scenes ... for people who want to become much better at web design. Why do I sell my video courses for so cheap? I am convinced that you will enjoy my teaching style so much, that you will be a loyal visitor/customer of Killersites.com. Besides, I figure beginners may need a little break financially ... so why not! Why should you buy these videos? Learn cutting-edge web design techniques with HTML and CSS. Avoid hours and days of frustration - my courses makes web design easy. BEST SELLERS - just read some of the testimonials! Support - We are there for you, contact us if you have any questions. How To Build Websites: The easiest web design tutorial on the web. Only eight simple lessions, and you will be designing websites in no time! CSS Tutorials: You've come to the right place to learn CSS. My tutorials on web design & CSS makes learning this stuff fun and easy - you will be up and running in no time because it ain't that hard! A career building course package that easily guide you from total beginner to becoming a productive web designer and developer. Learn to build modern Web sites with HTML and CSS. Over five hours of video tutorials for total beginners. A hands on crash course on building web sites using pure CSS techniques. Over the years I've written a few articles on Web Design that have become pretty popular on the Web. So I figured it made sense to include links to them here. I hope you find them useful. Need a hand? Visit our Web Design forum and get your questions answered. "I can't even begin to tell you how much help and insight I have gotten out of the "Killer Web Site Building Videos." I am a teacher, so I can definitely tell you what a gift you possess! Thank you so much,"
"Thank you! Your websites have met me in my frustrations and really helped to move me along in my desire to understand and create websites. I am very appreciative, I have become a KillerSites devotee." "I just opened up a webpage and it happens to be a dynamic webpage. You're article titled 'Database Driven Websites: What Are They and How Are They Built?' is very informative. I also love the simplicity of the article seeing how I have no clue on how websites work. I do wish you could link all the internet and website vocabulary to a brief summary, this way I could stop//li and quickly learn about that item. Almost like wikipedia. Thanks once again.
" I came to your site about 2 weeks ago through google search engine when I looked for good, simple and clear tips on how to build a good website, especially on the field of designing it. I found many valuable articles on your site, and it's nice to visit your site and dig up every page of it. your articles are very helpful!" "I've just started my own webcomics site. I thought it was going to be easy but for me it's been more of a challenge then I thought. I just wanted to drop you a line to thank you. I knew nothing at all before I came upon your site but know I'm doing OK not an expert by any means but your site got me up and going enough to understand what I was doing instead of just shooting in the dark. Again thank you so much for your great site." "I'd just like to say thank you, and how much i am enjoying your tutorials on CSS, HTML and the like. I am only a beginner and would really like to take it further, so thank you very much. Much appreciation from Australia,"
"First of all allow me to congratulate you on such a phenomenal job with the PHP videos...I have about 4 yrs looking such type of tutorials, not web monkey nor any other site has offered what you so generously share with others. It is like almost being in class with you." "I've been viewing your php videos to get a handle on using php. I don't have any programming background of any kind. Your videos have been very helpful and easy to follow. The videos are helping me to make head-way to understanding that which I once thought as way beyond of my abilities. So, I just want to take a little time and thank you for providing these extraordinary videos that making learning a language much, much easier." "I wish I had found your videos sooner! I have written several websites with tables and am just making the transition to CSS. You've clarified a lot of things for me and I'm really thrilled that I downloaded your videos. Thanks for all your help!" "Forget the Dummies books on website building. Before you'd be through the table of contents, Stefan has you building your own website. His instructions are clear, simple, and basic. If you've ever wished you had a pro over your shoulder to tell you what to do next, these tutorials are for you. There is simply no better deal on the market." "Please more php tutorials. Your last collection came along just as I was looking around for options on how to learn the basics. I came across your tutorials on Web Designer magazine. Fantastic. Simple to follow and exactly what I needed. So please, more of the same." "I for one am and have been satisfied with all of your teachings. It is because of your web site that I got started in web design. 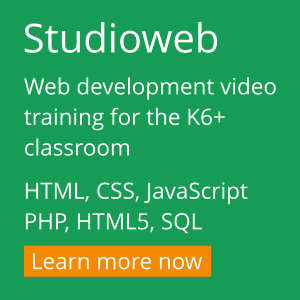 I know The business of web design videos will be a hit, at least with me they will. Thanks for passing the knowledge,"